Cresset Discovery Services give you access to experts who regularly decipher complex SAR to solve real-world customer problems. Sometimes this is in preparation for another task such as library design, template preparation or virtual screening; sometimes SAR analysis is the entire focus of the project. SAR analysis is an expert field, which is why many customers prefer an outsourced solution. Our scientists use a variety of techniques to study SAR, ranging from simple ligand alignment to more involved methods such as 3D-QSAR, qualitative model development or activity cliff detection. Ligand alignment is a core activity for Cresset. 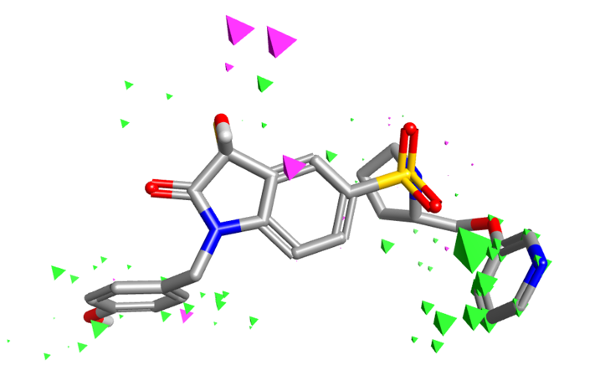 Our Torch and Forge software use ligand alignment as the basis for SAR interpretation and new molecule design, which often forms the basis of many of our computational experiments. 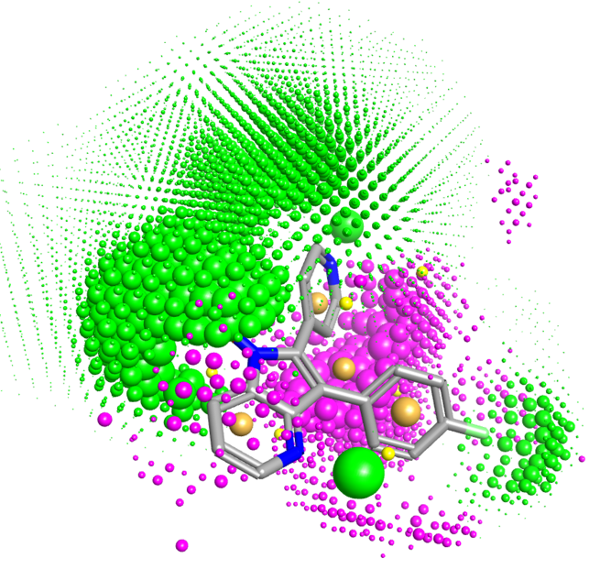 For our consulting projects we are able to make the power and subtlety of our 3D molecular field-based alignment tools available to a much wider range of users. We always visually inspect the alignments and will often form our initial ideas about the SAR at this stage. However, we also use more complex methods to help us firm up and confirm our theories (and sometimes disprove them too). Where the dataset supports it (meaning there is a significant number of compounds which are believed to bind in the same site, and with a reasonable range of binding strength or activity), we will routinely develop 3D-QSAR models to both explain the currently observed SAR and to aid in the design of new molecules where this is called for. While powerful statistical techniques can give seemingly miraculous results, one needs to be constantly aware of the potential issues that can arise. These include over-parameterized models, statistically questionable predictions, robustness to extrapolation rather than interpolation, etc. 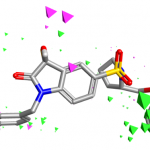 Further complications arise due to the complexities of conformational searching, molecular alignment, variations in binding modes across series, dealing with inconsistent biological data, etc. Due to these inherent complexities in the methods, 3D-QSAR is a tool best handled by an expert, in a consistent and ongoing way. By accessing 3D-QSAR through the Cresset Discovery Services team, you gain not only the scientific methods, but also the services of an expert who uses the tool on a daily or weekly basis to solve real-world customer problems. One of the advantages of contracting out to Cresset Discovery Services is that we offer early access to methods that we have developed but not yet released as software. The creation of qualitative models is a good example. Qualitative models add value in situations where the 3D-QSAR cannot as they do not depend upon the development of an equation to predict activity. We computationally process the customer’s dataset looking for molecules that describe critical features or excluded volumes record, these into a model, which is then used visually to explain the observed SAR or computationally to score new designs or in virtual screening. In analyzing SAR data for our customers we need to get to the heart of the problem in the shortest possible time. The detection of activity cliffs using Activity Miner, a component of Forge, provides a rapid method for doing just this and hence has rapidly become a regular feature of our consulting projects. Using Activity Miner on your dataset also enables us to find the hidden gems that explain the complexities of the data and guide you towards the best next molecule and ultimately to your ideal clinical candidate. Contact us for more information about how SAR analysis and Cresset Discovery Services can help advance your project.